The Douglas College Health Science Speaker Series continues with another event slated for Nov. 16. Dawn McDonald and Jennifer Wright will share a presentation at the Coquitlam campus focusing on their work providing palliative care in the West African country of Ghana. McDonald – a nurse educator, administrator and clinician – will present her team’s work with Wright – also a nurse – through the Share The Care Project for Palliative Care with the Korle-Bu Neurosciences Foundation in Ghana. 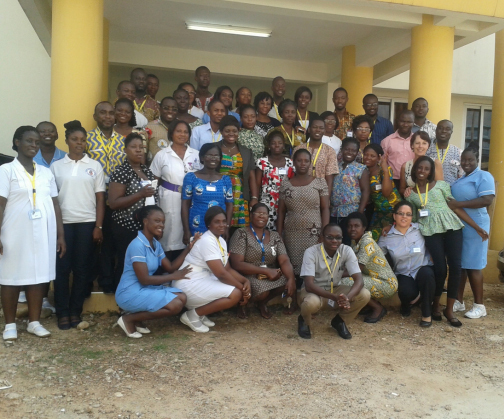 The Share The Care Project works to arrange for palliative-care professionals and educators to visit Ghana to assist, consult, educate and assess educational programs and delivery of palliative-care services. The hour-long presentation aims to bring awareness to the project and why it is important. The Douglas College Health Sciences Speaker Series is free and open to the public. The event starts at 10:30am and will be held in room A1470.